Billed as something of a spiritual sequel to Solondz’s predecessor “Welcome to Dollhouse” (which also premiered at Sundance, way back in 1996), the film features one big change: Greta Gerwig taking over as Dawn Wiener with a new ensemble cast. Julie Delpy, Kieran Culkin, Danny DeVito, Ellen Burstyn, Zosia Mamet and Tracy Letts are also set to star alongside Gerwig. 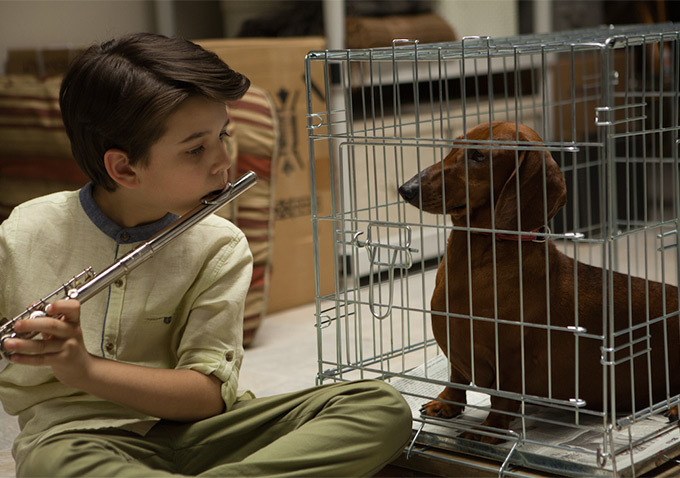 Produced by Megan Ellison and Christine Vachon, the film tells the stories of people whose lives are changed forever by a loving dachshund. Check out new images from the film both above and below. Knowing Solondz, there’s probably much more to the dog than we might expect.